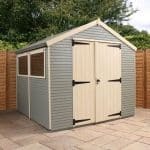 This is a very spacious shed measuring 15 x 10 in its dimensions. 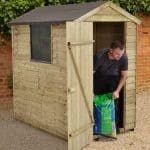 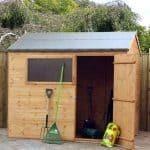 It has a wonderfully large and accommodating apex roof, which means that you can store taller items in the shed. 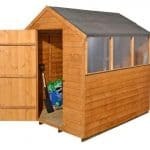 But you’re not wanting for floor space either, and it is one of the largest sheds that are available today. 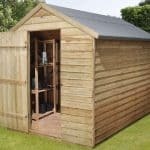 The wood that is used to make the shed is Baltic pine. 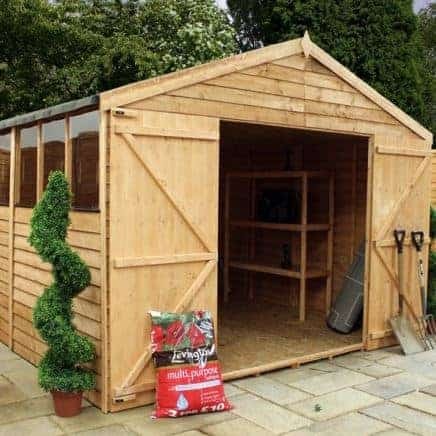 This pine is grown slowly and it is dense, which means it has more strength attached to it and it is more resistant to rot. 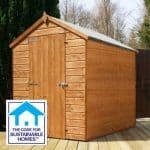 This means you get a stronger building.